26 April 2018 | New client Cordes Brunnenbau & Erdwärme GmbH from Germany is going to work with a fully radio controlled Conrad Boxer 150, equipped with a modem for maximum control. 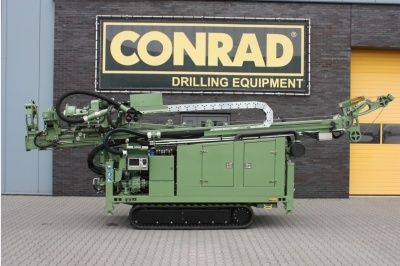 Cordes from Germany works, from next month, with the fully radio controlled Boxer 150 with hyper modern drill pipe manipulation system. 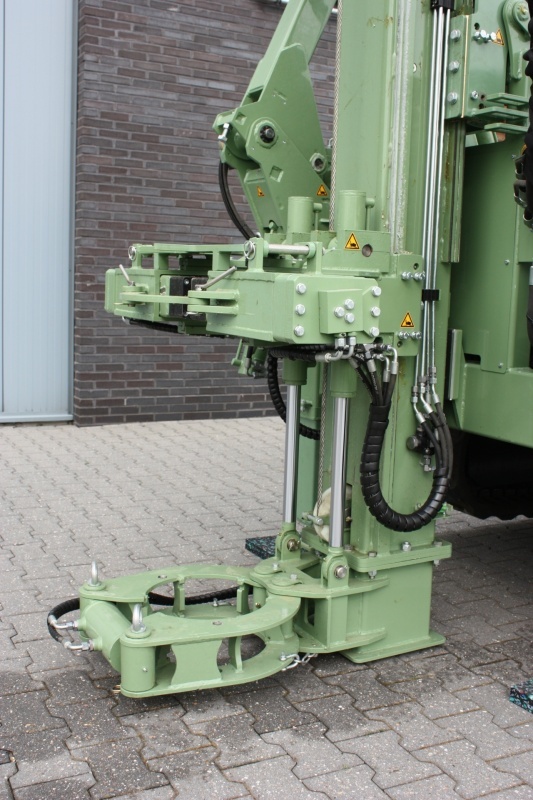 This Conrad Boxer contains a double breaking clamp on the underside of the mast for placing the casing. In addition, the Boxer 150 is equipped with a modem and so the machine and its performance can be read from the office. The weight is 8.5 tons and the soil drilling rig contains a 100 meter drill rod on the deck, depending on the type. 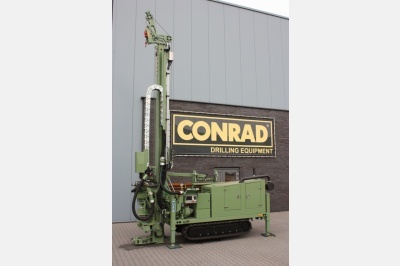 Furthermore, the Boxer has a changeable drill pipe cassette and an attachment for an external suction pump at the rear, so that one can quickly convert to suction drills. 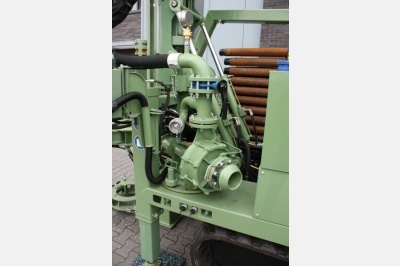 Case passage of 330 mm, flush pump 100 cubic meters and at least 14 BAR. 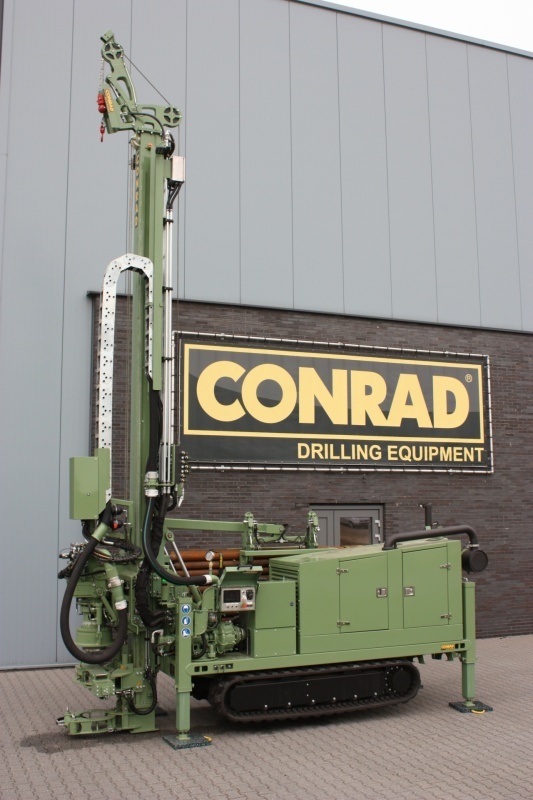 - The drilling systems are designed and installed in such a way that they can be quickly exchanged with the other drilling systems. 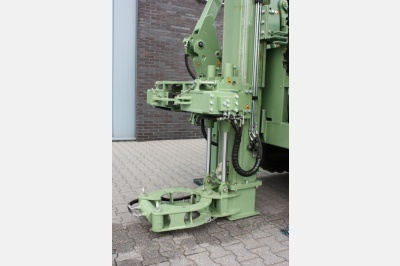 - Drilling mast equipped with mastdump (sliding system), maximum stroke is 0.4 meters for positioning. - A EURO 6 diesel engine is installed. The advantage of this engine type includes fewer emissions and lower fuel consumption. - The silenced housing on this Boxer 150 ensures a low noise level. This Boxer 150 is very suitable for working in the built-up area. 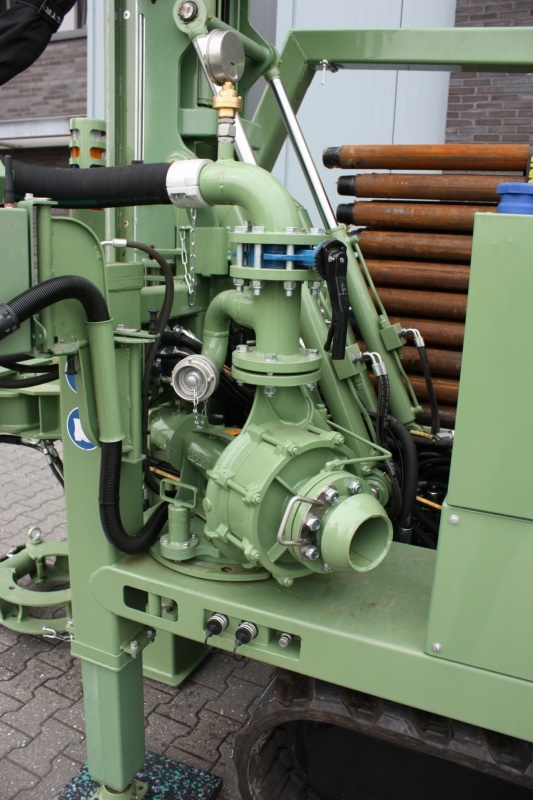 The company Cordes Brunnenbau & Erdwärme GmbH was founded in 2007 by builder Bernd Cordes and is known with its experienced team and modern machines as a competent partner in well construction and geothermal for a variety of applications. Bernd Cordes successfully completed his training as an agricultural machine technician in 1979. In 1983 he switched to deep drilling for oil, gas, brine and thermal drilling.